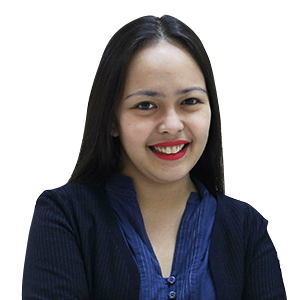 Rosa May Ledon - Syntactics Inc.
Rosa is a graduate of Bachelor of Science in Information Technology and her years of technical know-how and her nurturing spirit is what makes her a good leader. She originally started out in the company as a Business Application Software Quality Assurance officer in 2013, and further focused on analysis and design and project management in the year 2014. 2017 has been marked as a momentous year for Rosa and the company as she accepted both the honor and responsibility of becoming the Business Application Division’s team leader. Leading is no easy feat but her passion, focus, and honesty is what makes the team confident that they are in good hands. For her hard work, visionary leadership, and incomparable skills, she is truly a woman worth-emulating.